It definitely looks like the English Football team are making huge ripples back home by virtue of their amazing run in the ongoing 2018 World Cup in Russia. We have already been treated to footage of fans celebrating the achievements of the team thus far, one of the most noted among them being the celebration of the cricket team despite their loss in a recent T20I game against India. As the Three Lions proceeded one step closer to lifting the trophy by eliminating Sweden, news has emerged that the latest advancements have led to a Vitality T20 Blast game in England being postponed. The decision might have been influenced by a host of factors. The Vitality T20 Blast game between Yorkshire Vikings and Derbyshire Falcons was supposed to be held on Wednesday, 11th July. Incidentally, England will battle Croatia on the same day in what promises to be an epic semifinal encounter. The T20 blast game was supposed to be held at Headingley, which is also a prime roost for the football-crazy English fans out there. Hence, it was decided based on the "best interest of the spectators" and also considering the difficulty in travelling to Headingley that either team might face, that the game will be postponed to July 30, 2018. The game will be held at Headingley itself, at around 6:30 pm local time (11 pm IST). The Yorkshire County Cricket Club also issued a statement regarding the same, and explained the reasons behind the postponement. The updated schedule is up for display on the official website of the England Cricket Board (ECB), the prime organisers of the tournament. The Vitality T20 Blast 2018 is the offspring of the ECB. 18 first-class county teams are divided into two groups of nine teams each, and teams in each group play round-robin games against the others in the same group. The top four teams from each group will advance to the Quarter-finals, from when the series will proceed as knockout games. The Finals are scheduled to take place at Edgbaston on 15th September. Nottinghamshire Outlaws are the reigning champions of the event. In the ongoing season, Yorkshire are currently placed fifth in the North Group points table with one win in two games while Derbyshire are at a lowly eighth, having lost both their games so far. Worcestershire Rapids lead the North table while Sussex Sharks lead the South table. Meanwhile, the English Football team are having the run of their lives, celebrating a first-ever semifinal entry in the World Cup in the last twenty-eight years. The team have been playing some commendable football, seeing off opponents quite authoritatively and they look well set for a shot at the title. 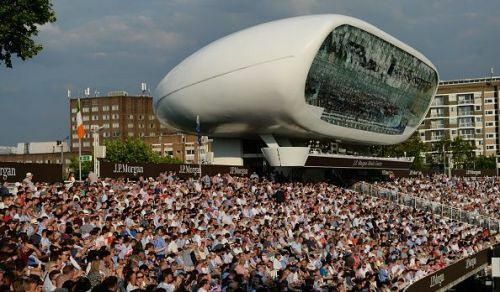 The Vitality T20 Blast games will resume on July 12, and will continue until the above-mentioned final around two months later.